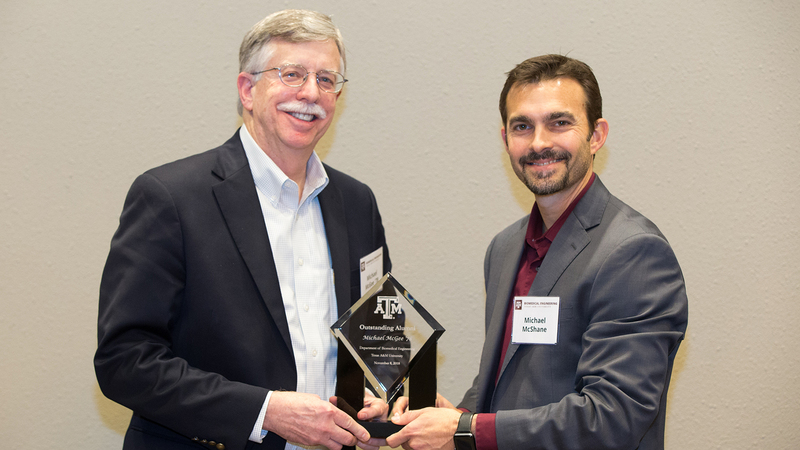 The Department of Biomedical Engineering at Texas A&M University presented its first Outstanding Alumni Award to Mike McGee, vice president in the Office of Research Administration at the Texas Heart Institute. McGee graduated with a bachelor’s degree in bioengineering from Texas A&M in 1978. 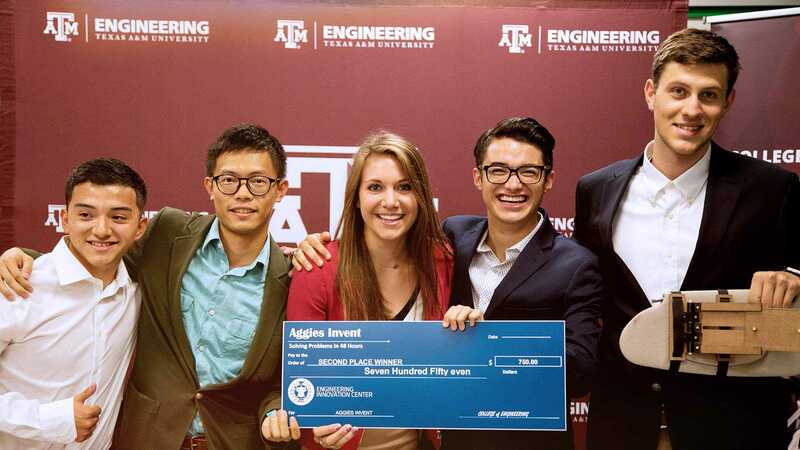 Shortly after graduation, he began working as an engineer at the Texas Heart Institute (THI). During his 40 years of service there, McGee has made contributions to the institution and to the researchers, educators and clinicians who have advanced cardiovascular medicine to benefit both the students they train and the patients they serve. McGee joined Texas Heart Institute during a time of exciting creative innovations such as the development of the implantable Ventricular Assist Device (VAD), which can provide a bridge for patients waiting on heart transplants or while their own heart recovers from certain conditions. More than 1,000 patients have received VAD implants at THI and more than 20,000 patients worldwide. 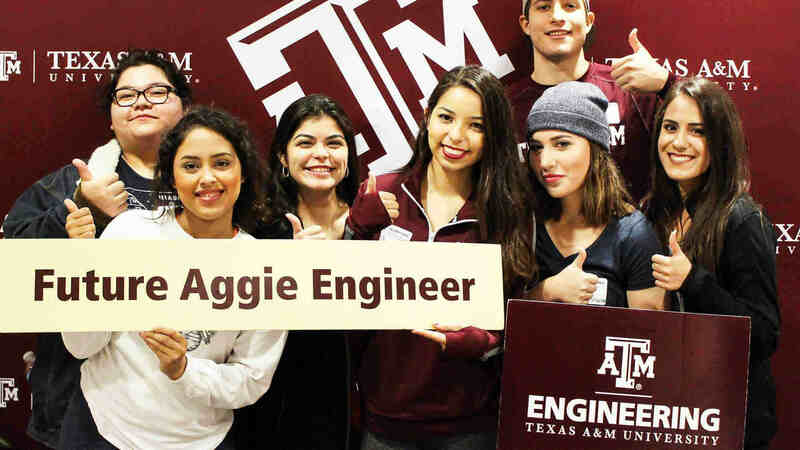 THI has provided 20 years of co-op educational opportunities for many biomedical engineering students from Texas A&M, as well as sponsorship of many senior design projects. McGee also provided administrative support to help THI and the Texas A&M College of Veterinary Medicine and Biomedical Sciences win a $3 million Texas Emerging Technology Fund grant to launch the Center for Cell and Organ Biotechnology, which has provided new jobs and educational opportunities for biomedical engineering and veterinary medicine students and faculty. McGee said he is proud to have Texas A&M be part of his past, present and future and plans to continue to contribute however he can to the success of the department.